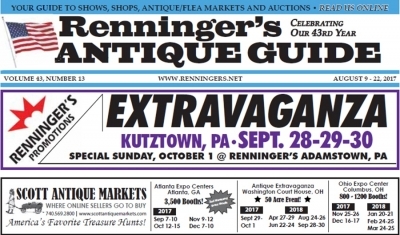 Read the September 13th issue of the Renninger's Antique Guide Newspaper. Renninger's is celebrating the 50th anniversary of it's Adamstown, PA market this Sunday, September 17th. 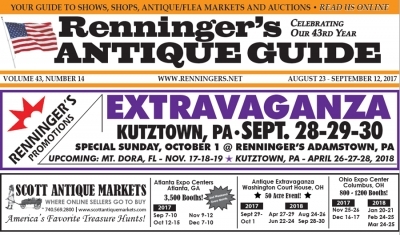 Read the August 23rd issue of the Renninger's Antique Guide Newspaper. Read the August 9th issue of the Renninger's Antique Guide Newspaper. 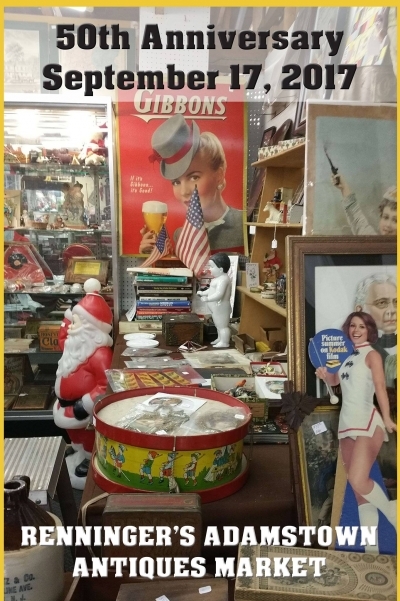 Read the July 19th issue of the Renninger's Antique Guide Newspaper. 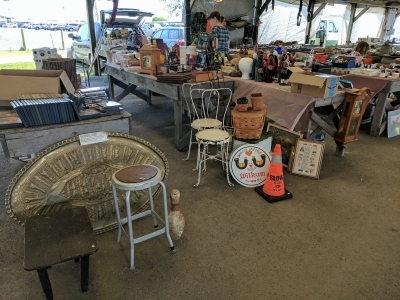 Read the June 7th issue of the Renninger's Antique Guide Newspaper. 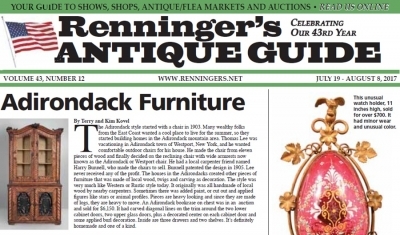 Read the May 17th issue of the Renninger's Antique Guide Newspaper. Sheds are not just to store your tools anymore. They are being transformed into quaint backyard escapes. Along with the recent popularity of tiny homes, the backyard sheds are becoming little cozy living spaces, offices, craft rooms, art studios, guest cottages, and business storefronts. 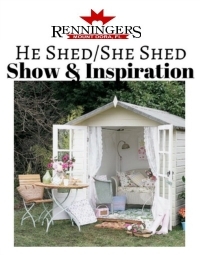 On May 20th & 21st, Renninger's Mount Dora is holding it's inaugural He Shed/She Shed Show. Read the April 26th issue of the Renninger's Antique Guide Newspaper.